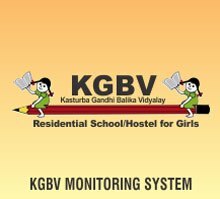 Kasturba Gandhi Balika Vidyalaya (KGBV) is a scheme launched in July 2004, for setting up residential schools at upper primary level for girls belonging predominantly to the SC, ST, OBC and minority communities. The scheme is being implemented in educationally backward blocks of the country where the female rural literacy is below the national average and gender gap in literacy is above the national average. The scheme provides for a minimum reservation of 75% of the seats for girls belonging to SC, ST, OBC or minority communities and priority for the remaining 25%, is accorded to girls from families below poverty line. The scheme is being implemented in 27 States/UTs namely: Assam, Andhra Pradesh, Arunachal Pradesh, Bihar, Chhattisgarh, Dadar & Nagar Haveli, Delhi, Gujarat, Haryana, Himachal Pradesh, Jammu and Kashmir, Jharkhand, Karnataka, Madhya Pradesh, Maharashtra, Manipur, Meghalaya, Mizoram, Nagaland, Orissa, Punjab, Rajasthan, Tamil Nadu, Tripura, Uttar Pradesh, Uttarakhand and West Bengal. 2578 KGBVs were sanctioned by Government of India till date. Of these, 427 KGBVs have been sanctioned in Muslim concentration blocks, 612 in ST blocks, 688 in SC blocks. As on 31st January, 2009, 2423 KGBVs are reported to be functional (i.e. 94%) in the States and 1,90,404 girls enrolled in them (50,630 SC girls (27%); 58,682 ST girls (31%); 50,161 OBC girls (26%); 18,206 BPL girls (9%); 12,725 Minority girls (7%). Out of the total 2578 sanctioned KGBVs, 547 KGBVs have been constructed + 1262 are in progress and 769 have not been started. 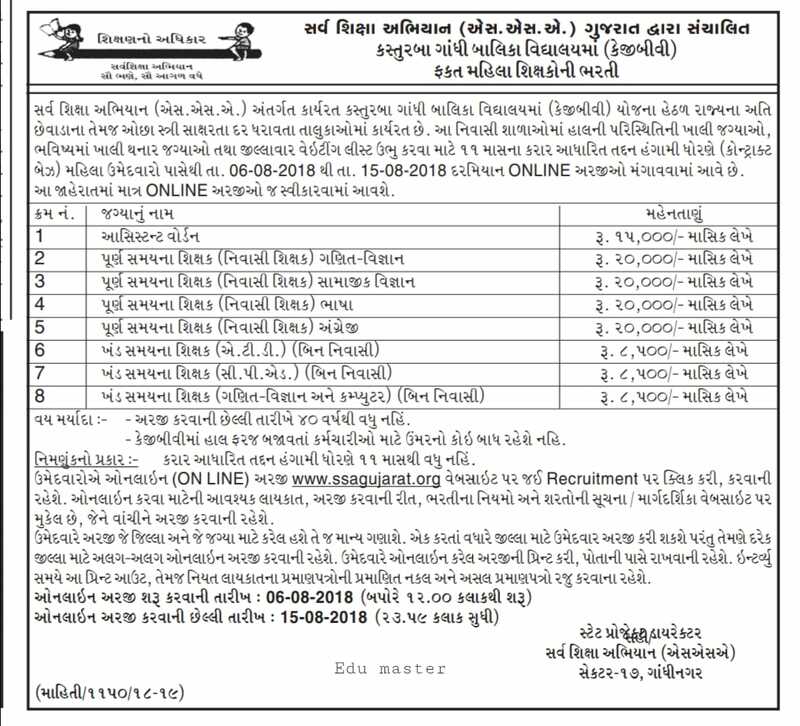 The Kasturba Gandhi Balika Vidyalaya scheme is merged with Sarva Shiksha Abhiyan in the XIth Plan with effect from 1st April, 2007.